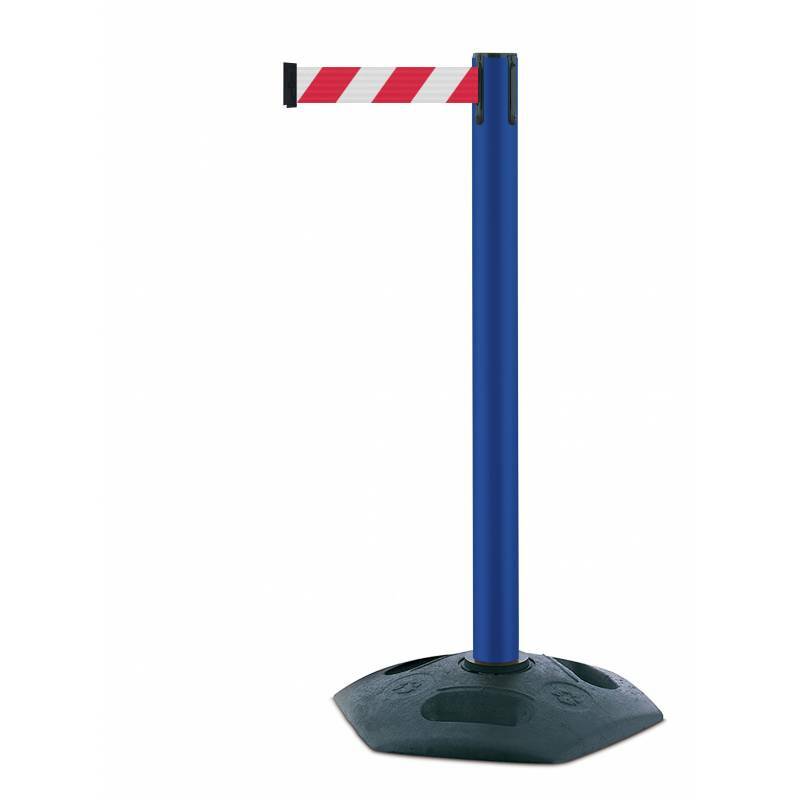 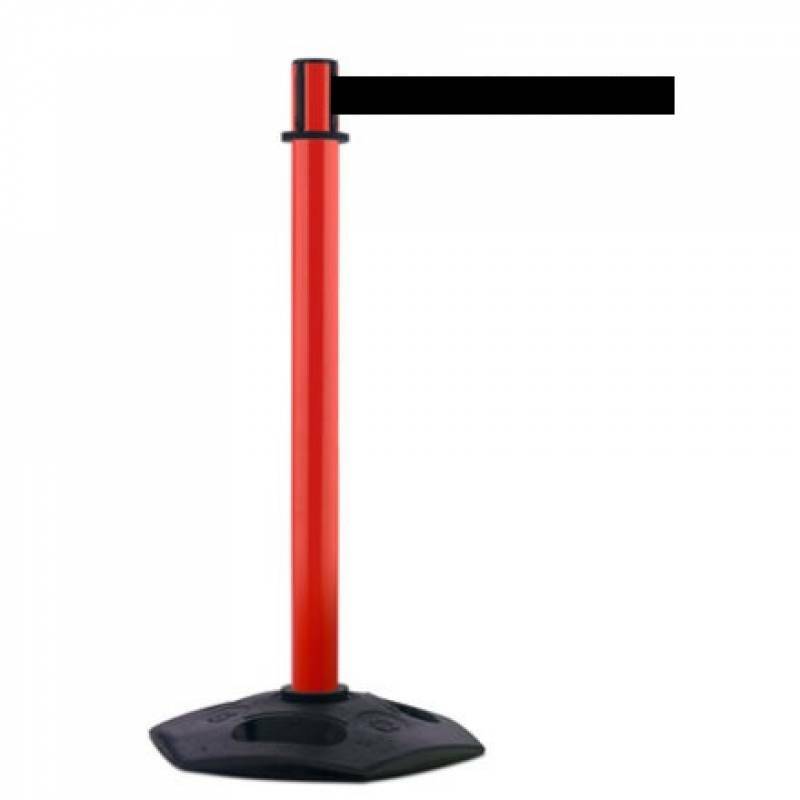 The robust plastic stanchion is bayonet-fixed to the rubber recycled base for easy disassembly and storage. The recycled rubber base has easy carry handles, which makes this safety barrier easy to transport. 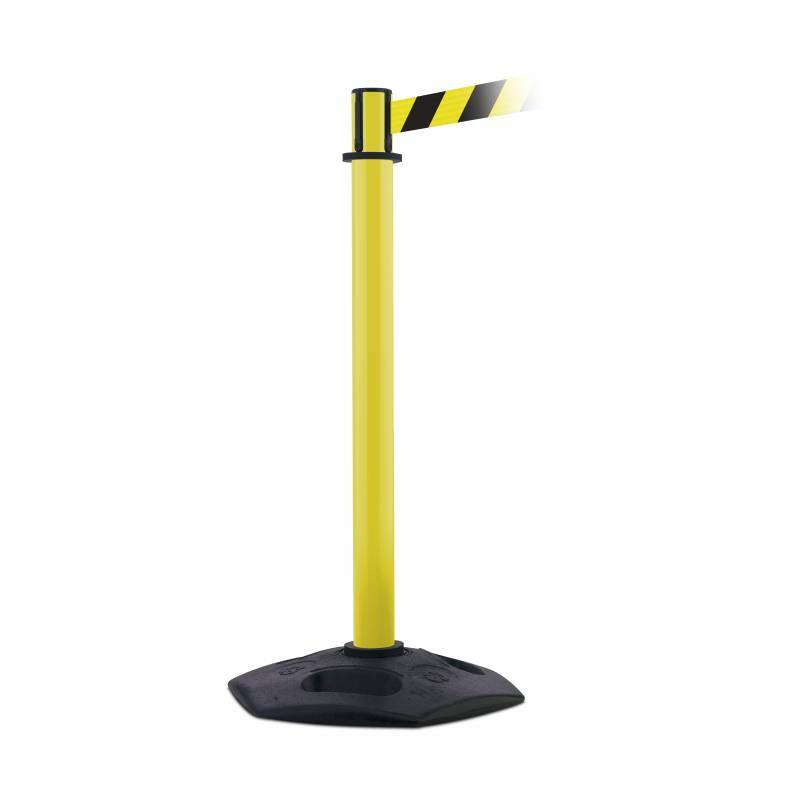 Hard wearing base can be walked on or driven over and will still retain its shape, making it ideal for use in warehouses, loading bays, construction sites and manufacturing facilitiesPost and base can be detached from one another; making them easy to store.